There are many theories that are based on the empowerment. 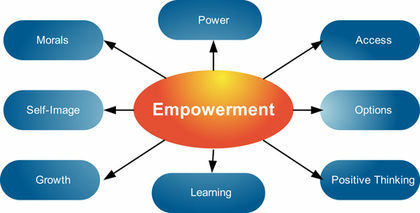 Empowerment is concerned with the actions of the top managers to give their employees more control over their work. This is seen as a motivation for the workers. When an organization adopts the empowerment strategy, the workers are allowed to make their own decisions and take actions, without even informing the management.